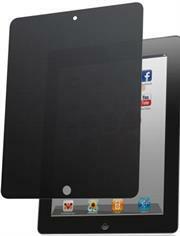 iPhone 4 Wireless charging pad for Home or Office use. 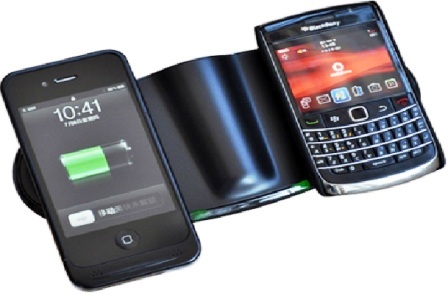 Promate AirCharger is a new revolutionary way to charge your BlackBerry and iPhone without the tangle of wires. 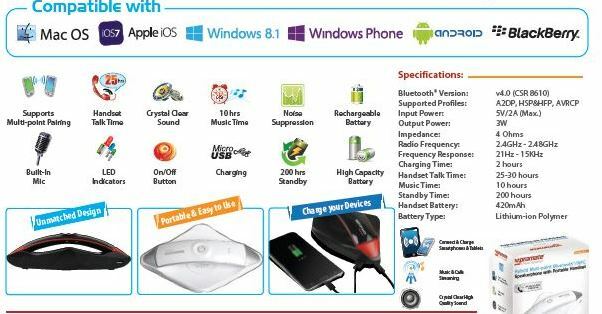 It is a complete wireless charging solution for BlackBerry 9700 and iPhone 4 devices.Ultra-slim, sleek and portable lightweight wireless charging mat which is conveniently used with the device charging receiver case. LED indication provides complete charging status for a precise charging upkeep. Note: Air receiver charging case sold separately. The Promate Dash-Air is a great companion for those always on the go. Make the best of your iPad Air with this extremely powerful 8000mAh power case in hand. Enjoy convenient typing and landscape viewing options with Dash-Air. It not only provides the power your iPad Air needs when on the go, but also provides perfect protection to your iPad Air. 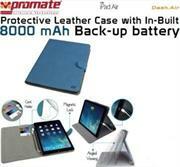 Promate Dash-Air -Protective Leather Case with In-Built 8000 mAh Back-up battery. The Promate Bolster, Universal SLR Holster with Quick Release Latch provides the most secure and comfortable way to carry your camera. The innovative ball joint system gives your camera just enough freedom of movement so that it is not bolted to your body. Your camera moves with you in any position to provide a comfortable fit. The innovative holster system lets your camera hang safely at your hip when you’re not shooting, and quickly draw it out to an active shooting position as soon as you’re ready to catch that impressive shot. Bolster, an innovative SLR holster made by photographers for photographers. 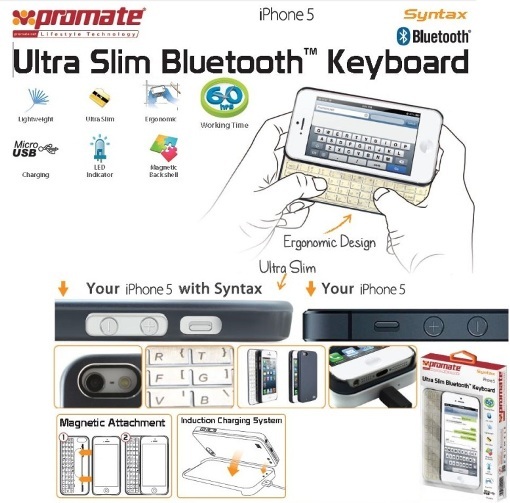 The Promate Syntax is a one of a kind easily detachable Bluetooth™ keyboard with magnetic technology made for iPhone 5 / 5s / 5s. 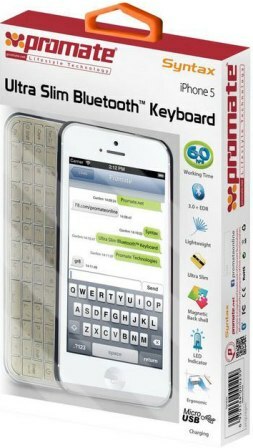 It configures an iPhone 5 / 5s/ 5s shell case that incorporates a metallic Bluetooth™ keyboard which is highly sensitive for an accurate character input. 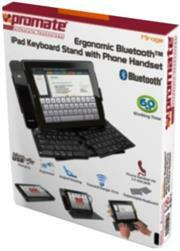 Syntax allows you effortlessly to remove the keyboard when not needed and use as protection cover for your device. Charging comes with an induction point connector which allows you to power up your Syntax on its charging pad for an easy and wire free charging. A device, designed to make the most of your iPhone 5 / 5s / 5s , Syntax just makes typing easy and fast. • Made from ABS Plastic and Aluminium. Power’ on-the-go takes a whole new meaning with the Promate AidCase-i6P specially designed for iPhone 6 Plus. Equipped with a powerful 4000mAh battery, AidCase-i6P gives you enough power to push through the toughest days, longest flights, or unexpected deadlines. Get a perfect balance of extra battery power and excellent protection against bumps and scuffs with aidCase-i6P’s ergonomic design. Abrasion Resistant Back. Smart LED Power Indicator..
•Powerful 4000mAh lithium polymer back-up battery case. •Slim and Simple Ergonomic Design. •Unrestricted Access to all Ports and Buttons. Promate cheerBox Premium Touch controlled Bluetooth® V4.0 Speaker-Maroon -Design meets functionality; cheerBox is a distinctly crafted Bluetooth® mini speaker. 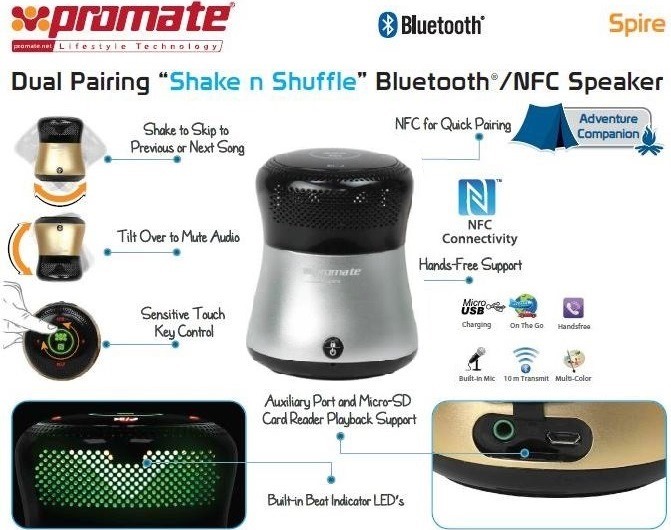 It features a highly sensitive touch key control which allows you to navigate through your music playlist with ease. Just a simple touch to adjust the volume control, this speaker truly is one of a kind. Having to communicate with friends and love ones is also a highly anticipated feature of this product which comes with a mic for Hands free conversation. With a built-in battery which lasts for hours, cheerBox could be used both indoors and outdoors. The Promate Xplore-S Contemporary DSLR Camera Bag with adjustable storage, water resistant cover and shoulder strap is a compact DSLR bag that is worth a thousand words. This trendsetting messenger defies the typically designed camera bags by offering depths of protection through a cushioned inner structure with adjustable storage walls and also easily adaptable into a modern, casual carry-all. The versatility, contemporary details and multi-purpose pockets and storage will keep you stylish and organized whenever you step out to click those great looking pictures. This bag features protective pockets for your DSLR camera, additional lens, flash and other accessories. 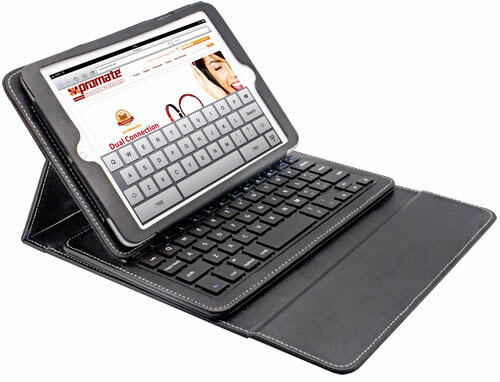 The Promate keyCasemini3 is a case created specially to help you make the most of the iPad mini functions. It is a premium leather case which has a magnetically attached Bluetooth™ keyboard designed to enhance your comfort and typing needs. keyCasemini3 offers a complete protection for your iPad mini as well as a foldable stand which lets you enjoy the screen from many angles. It features a slim removable wireless keyboard that connects easily via Bluetooth™ and gives you control of all the files from your device. Specially designed for iPhone 6. ‘Power’ on-the-go takes a whole new meaning. Equipped with a powerful 2800mAh battery, aidCase-i6 gives you enough power to push through the toughest days, longest flights, or unexpected deadlines. Get a perfect balance of extra battery power and excellent protection against bumps and scuffs with aidCase-i6’s ergonomic design. Powerful 2800mAh lithium polymer back-up battery case. Abrasion Resistant Back. Smart LED Power Indicator. Unrestricted Access to all Ports and Buttons. Specially designed for iPhone 6. 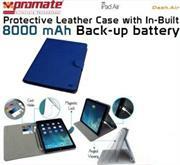 •Powerful 2800mAh lithium polymer back-up battery case. •Specially designed for iPhone 6. • Input type : Lightning Connector. 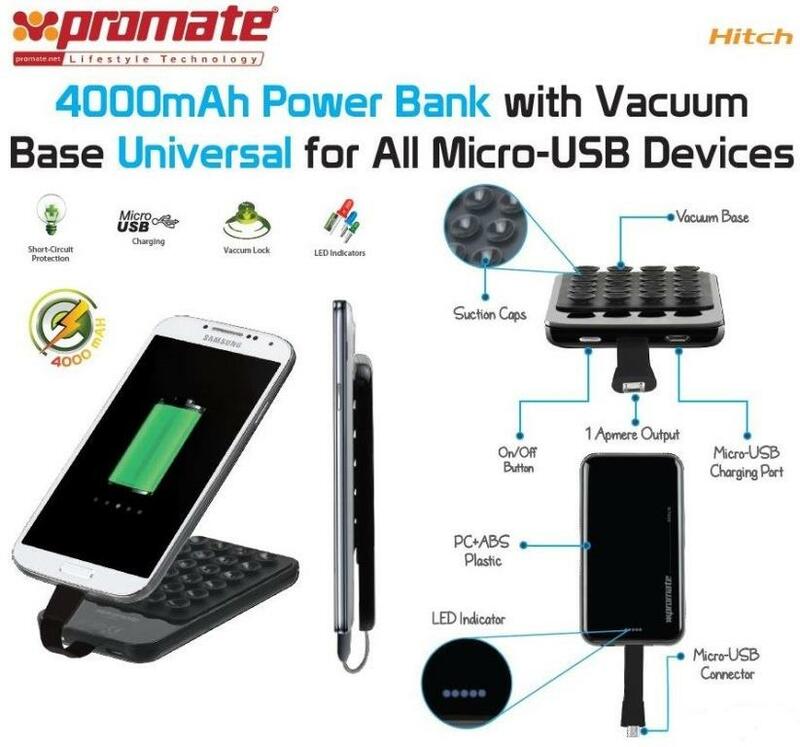 The Promate Hitch 4000mAh Power Bank with Vacuum Base for Micro-USB devices is a robust charging solution for all your Micro-USB devices— this battery delivers 4000mAh backup power and is perfect for daily use. Simply connect the built in Micro-USB cable included with your device and press the power button on the battery for that extra power whenever you need it. Carry it in your briefcase or purse or better still attach it to the back of your device using the specially designed suction cup sticker and never again run out of power. Power on the go with Hitch. The Promate energyMate external battery is Lightweight, sleek, and easily portable that allows you to charge your portable devices on-the-go when you are not near a conventional power source. The energyMate comes with a multifunctional cable that allows you to both charge the battery and power other devices from it, all with a single cable. 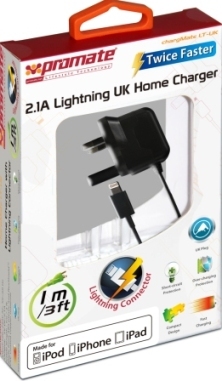 Interchangeable tips connect to one end of the cable and allow you to power almost all mobile devices: Apple devices, Micro USB powered devices, conventional mobile phones, Samsung Galaxy Tabs and mobiles and Blackberrys are all compatible USB powered devices can also plug straight into either of the battery’s two USB sockets; one 2.1A output for tablet devices, one 1A output for mobile phones (can be used simultaneously). 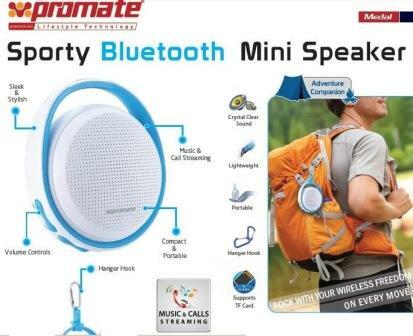 The energyMate also comes with auto-off and energy-saving technology, a five-protection circuit for high safety and reliability and a storage pouch. All Galaxy Tabs and Smartphone. 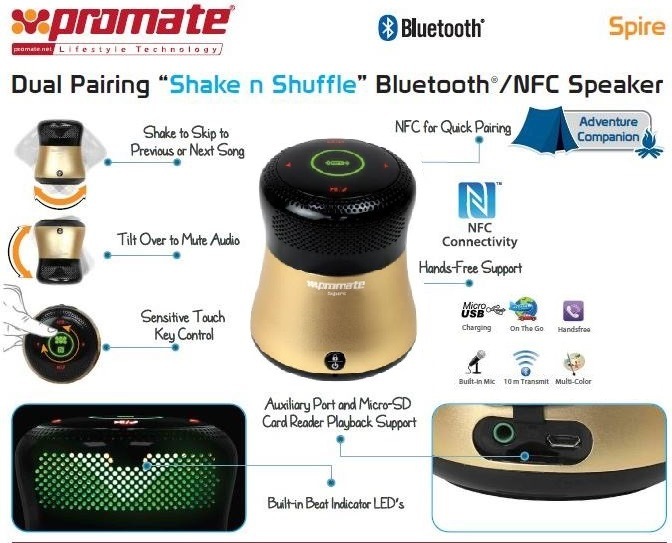 Promate Medal Sporty Bluetooth Mini Speaker -Turn your daytrip into a disco, make your picnic a party, boogie on the beach, and bring crisp, clear sound wherever you go. Stream music wirelessly and use it as a hands free, Medal does everything and at optimum performance. •Hanger to hook it onto belts, backpacks, etc. 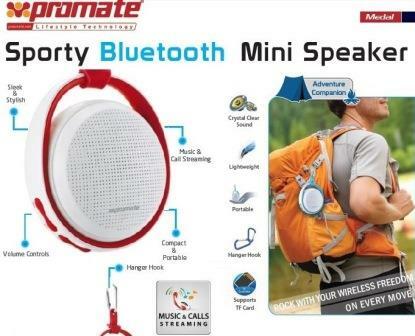 The Promate iControl.1 7-in-1 Remote Control Adaptor for iPad, iPhone and iPod is a micro remote control adaptor that you can plug your existing earphones straight into, letting you talk hands-free. You can also manage your track selections on your iPod, iPad and iPhone at the touch of a button. Thanks to a universal 3.5mm audio input, you can connect your existing earphones to iControl.1 allowing you to adjust the volume, pause, skip, fast-forward and play tracks without removing your iPhone from your pocket. Furthermore, iControl.1 supports VoiceOver for compatible Apple devices, enabling you to hear the names of songs and artists as well as playlist information without having to look at the screen. 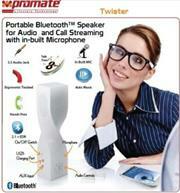 iControl.1is perfectly suited for hands-free phone calls when you are on the go. Featuring a sensitive microphone that is designed for phone calls and voice recording, iControl.1 pauses your music and resumes the track once the call has ended. This device also boasts a shirt clip to ensure that any long headphone wires won't get in your way. scratches. 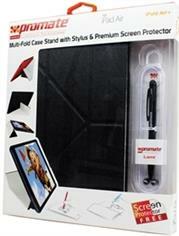 A stylus and premium screen-protector is bundled to provide that extra level of comfort and protection. iFoldAir+ is the ideal case for users looking for protection and functionality in a minimalist style design.